Busy people treat food shopping as just another task, rather than a pleasurable social experience. Studies indicate that we have 10 times more conversations when we shop at the farmers’ market than at the supermarket. I know when I stop in at the new All Things Local Cooperative Market in downtown Amherst, I always bump into friends and neighbors. Have you ever wondered what the garden of an English commoner might look like during William Shakespeare’s time? Well, a group of University of Massachusetts and Mt. Holyoke College students did – and they learned quite a lot – often not what they expected! This project, co-sponsored by the Massachusetts Interdisciplinary Center for Renaissance Studies and the UMass Stockbridge School of Agriculture, asked six undergraduate students to investigate what an English commoner’s garden might look like pre- and post-1492. Once the research was completed, we planned to design and build demonstration gardens at the Renaissance Center in Amherst, Massachusetts. We began this project with a hypothesis. 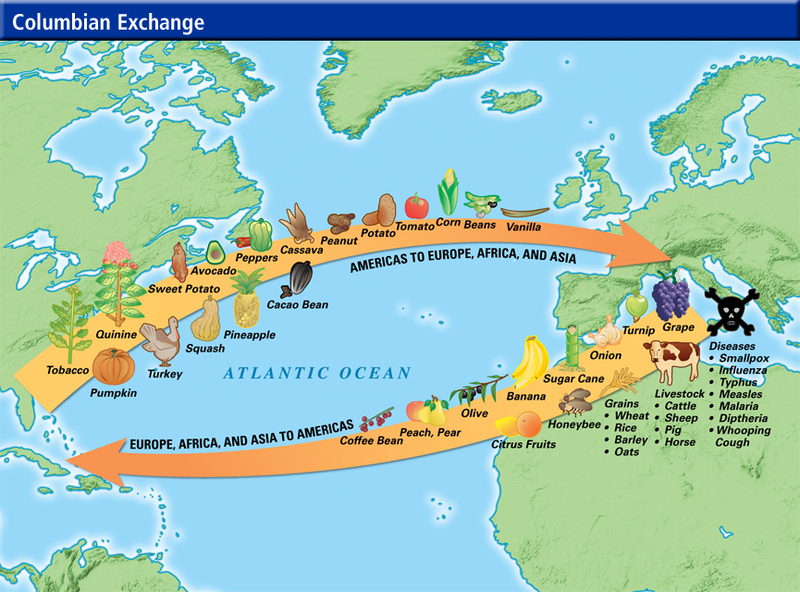 We believed that the Columbian Exchange would have changed the way common people grew their food during this period. 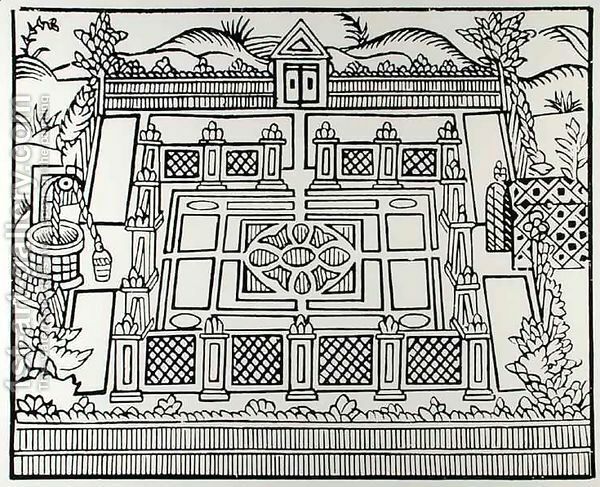 Our original plan was to create two gardens, representing pre- and post-1492 northern European cottage gardens to demonstrate the impact of the Columbian Exchange. Although plants from the Americas did arrive in Europe following the explorations of the 16th century, they did not become a significant part of the common people’s diet for some 200 years. 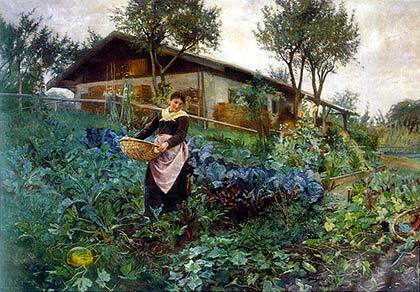 Its not very likely that the kitchen garden of commoners were designed to “freelier walke hither and thither….” Nevertheless, the student research (which may be found here) discovered quite a bit about the diet and the gardening habits for commoners during the Renaissance. This and my next few blogs will share some of what they have uncovered. The student’s research brought forth some really interesting ideas that we will include in our garden at the Renaissance Center. 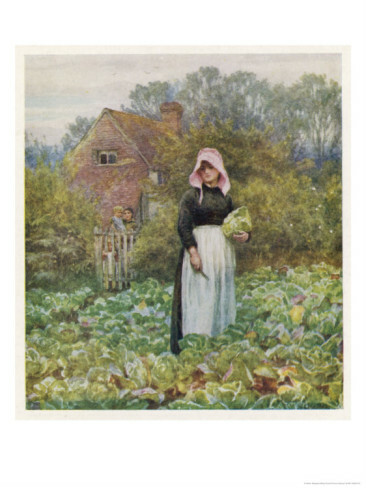 We plan on designing a vegetable/herb/flower garden typical of the period. 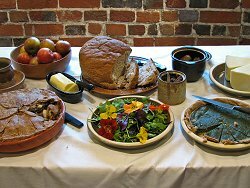 We believe we can use the garden to tell some interesting stories about how common people lived (and ate) during the 14th to 17th centuries. Of course, pottage plants will make up a good part of our garden at the Massachusetts Renaissance Center, as it represents a major part of the diet for English commoners. Other typical plants to be included are garlic, leeks, onions, turnips, hops, and even roses along with many common medicinal and savory herbs.